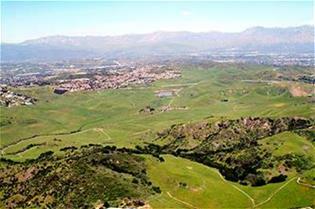 Tres Hermanos Ranch is 2,445 acres: 1750 acres in the City of Chino Hills and 695 acres in the City of Diamond Bar. The land is located on both sides of Grand Avenue at Chino Hills' western border, and to the north extending into City of Diamond Bar. City of Industry’s Redevelopment Agency (RDA) originally bought the ranch in 1978. After the State of California dissolved RDAs in California in 2012, and required the sale of all assets, the City of Industry was approved to purchase Tres Hermanos Ranch from the RDA Successor Agency in 2017 for $41,650,000. The City of Chino Hills and the City of Diamond Bar have been concerned about the City of Industry's plans to build a massive solar facility on the property. Both cities have encouraged their residents to stay informed on this project. In an historic effort to protect one of the largest expanses of open land in the region, the Cities of Industry, Chino Hills, and Diamond Bar announced that they have reached a settlement on six outstanding lawsuits, and will work jointly to protect the 2,445-acre Tres Hermanos Ranch located in Chino Hills and Diamond Bar. The lawsuits, filed by Diamond Bar and Chino Hills in 2017 and 2018, sought to thwart Industry’s plans to lease the property for a large solar facility. According to terms of the settlement, the City of Industry will become a full voting member of the Tres Hermanos Conservation Authority (Conservation Authority), a joint powers agency formed 20 years ago in January 1999 by the Cities of Diamond Bar and Chino Hills. The Board will increase from four to seven members, with City of Industry allotted three members, Diamond Bar two members, and Chino Hills two members. The City of Industry will sell Tres Hermanos Ranch to the Conservation Authority with deed restrictions that limit future use to open space, public use, and preservation. State of California dissolved RDAs in California in 2012, and required the sale of all assets, the City of Industry was approved to purchase Tres Hermanos Ranch from the RDA Successor Agency in 2017 for $41,650,000. According to the settlement, City of Industry will be responsible for 90 percent of that purchase price in the sale of the land to the Conservation Authority. Chino Hills and Diamond Bar will cover 10 percent of the sale price prorated according to the acreage within their boundaries. 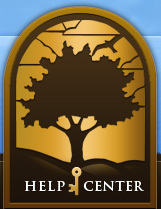 Approximately 1,750 acres of Tres Hermanos Ranch are in Chino Hills, and 695 acres are in Diamond Bar. Chino Hills will pay Industry $2,959,967 and Diamond Bar will pay Industry $1,205,033. “This is an incredible opportunity that truly reflects the best interest of our community and residents,” said Diamond Bar Mayor Carol Herrera. “We now have a seat at the table for Tres Hermanos and a voice to ensure it remains a valuable open space resource in our cities and region for decades to come. Include additional provisions for administration, voting rights, budgeting, and distribution of operating revenue and expenses concerning the Authority. For additional information, review documents from February 5, 2019 City of Chino Hills Special Meeting. On November 2, 2017, the City of Chino Hills filed a second legal action against City of Industry The City of Chino Hills filed a second legal action in Los Angeles County Superior Court on November 1, 2017 against City of Industry and other related agencies involved in the sale of the Tres Hermanos Ranch for failure to conduct a California Environmental Quality Act review, Gift of Public Funds, and Due Process Violations. The City of Diamond Bar has also filed a similar lawsuit. On October 20, 2017, the City of Chino Hills filed a legal action against City of Industry, the Successor Agency to the former Industry Redevelopment Agency, and the Oversight Board to the Successor Agency. The litigation challenges the Oversight Board's approval of the sale of Tres Hermanos to City of Industry on August 24, 2017. The City of Diamond Bar has filed a similar action. Because the City of Industry has provided no specifics regarding their proposed 450-megawatt solar facility, the City of Chino Hills developed a conceptual map to get an idea of just how much of the 2,450-acre Tres Hermanos Ranch might be covered with a solar array. The City of Chino Hills checked satellite views of solar facilities around the world to develop the map. The solar array depicted on the map covers 1,000 acres and would ONLY generate 133 megawatts. Industry’s proposal is a 450-megawatt facility. This map is NOT an actual representation of what City of Industry plans, because, according to Industry, they do not have a site plan, nor any additional information about their plan. A Solar Farm on Grand Avenue? What is City of Industry Up To? Tres Hermanos property in Chino Hills. Residents and visitors alike love the beautiful view along both sides of Grand Avenue at the City of Chino Hills’ western border with Diamond Bar. The area, known as the Tres Hermanos Ranch is 2,450 acres: 1,750 acres are in Chino Hills and 700 acres are in Diamond Bar. Tres Hermanos has been owned by the City of Industry’s (Industry) Redevelopment Agency (RDA) since the 1970s. Industry’s RDA may have been the only RDA in the State to own land outside of their City jurisdiction. The goal of redevelopment was to improve blighted property within a city’s jurisdiction, not outside of the city’s jurisdiction. meant its RDA had to sell the Tres Hermanos Ranch. An Oversight Board, made up of taxing entities represented in the City of Industry, was appointed to oversee the process. This is also unusual because the taxing entities on the Oversight Board have nothing to do with the 1,750 acres of the land, which is located in Chino Hills; and the taxing entities that are affected by the sale are not represented in the process. The City of Industry has been seeking to purchase Tres Hermanos. Chino Hills, Diamond Bar, Brea, and many environmental groups have been monitoring the City of Industry and attending the Oversight Board meetings. In fact, the City of Chino Hills has been closely engaged and has sought City of Industry records through official Public Records Requests because Industry has resisted any meaningful dialogue regarding their development schemes. The documents have been compiled and presented to the regional media which has shed some light on questionable activities and contracts which demonstrate that Industry has been taking action related to property they do not own – Tres Hermanos. It is interesting to note that the City of Industry also owns 3,000 acres in Tonner Canyon, south of Tres Hermanos Ranch all the way to the 57 Freeway. Many know this land as the Firestone Boy Scout Camp. The Oversight Board approved the sale to Industry's offer to purchase the property for $41.65 million for the purpose of building a solar farm. As a point of reference, the latest appraisal for the property was $100 million, which Industry had agreed to pay. A restrictive covenant was added that would not allow the land to be used for any purpose other than open space, public use, and preservation. The covenant is meaningless however, because State law only allows a city to own property outside their boundaries for these types of public purposes anyway. Thus, the Oversight Board’s reduction of the price by nearly $60 million for the covenant served no purpose. What the restrictions are, and the plan for the solar farm, are very low on specifics. Industry acts as though they are saving the region from more housing and traffic woes, and providing hiking trails and open space for people to enjoy. Yet the amount of energy they want to generate on the solar farm would seem to require solar panels on nearly the entire 2,450 acres. They’ve spent over $14 million dollars since March of 2016 studying the project but they say they have no design, no footprint, no specifics. According to what Chino Hills has gleaned from the project pro forma, Industry wants to generate 444 megawatts. A 1,000-acre solar project is capable of generating just 133 megawatts. Be careful of red herrings, the City of Chino Hills warns. How Much Housing Could Be Built on Tres Hermanos? Some worry that developers will build tens of thousands of homes on Tres Hermanos Ranch. In fact, Diamond Bar’s General Plan allows 630 units. Chino Hills General Plan calls for a maximum of 675 housing units. Measure U prohibits the City from increasing residential units in the City without voter approval. Because of its unique resources, the City’s General Plan requires any future development of Tres Hermanos to be master planned. Chino Hills has used a master-plan process to cluster development and protect the maximum amount of open space. For zoning purposes, Chino Hills has slated most development on the mostly-flat parcel of approximately 50 acres located on both sides of Grand Avenue to meet State affordable housing requirements. The General Plan includes 103 Very High Density units, 364 Mixed Use units, and 15 acres of commercial development allocated to the 50-acre parcel. In addition, there are 208 Agriculture Ranch units which allow one unit per 5 acres. Limited development has always been included in planning documents for Tres Hermanos: the County of San Bernardino's Chino Hills Specific Plan (1982) identified the Tres Hermanos Ranch as one of the eight Chino Hills’ villages with a development potential of 358 residential units, 16 acres of commercial within a village core that also included a school and community center or library. The City's first General Plan retained the 358 residential units despite the City of Industry’s request to increase the number of units to 2,600, and included the commercial area and village core area of approximately 50 acres. It’s time for residents to pay attention. There is no roadmap for a project of this nature: one city (Industry), building a solar farm (a public benefit) in another cities’ jurisdiction (Chino Hills and Diamond Bar). There is very little case law to indicate the level of jurisdiction or control that the Cities of Chino Hills and Diamond Bar may exercise in reviewing a project of this nature. Is this our City’s next TRTP (Tehachapi Renewable Transmission Project)? Do our residents need to decide if they are for, or against, a solar project….and take action to support their preference? 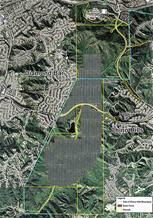 Do Chino Hills residents want a massive solar farm in the City of Chino Hills which continues north into Diamond Bar? Can a massive 444-megawatt solar project, one of the largest in California, be “unobtrusive?” The Desert Sunlight solar project near Joshua Tree is a 550-megawatt project on 3,800 acres in the open desert. Would Industry’s proposed solar farm consume nearly all 2,450 acres? Could this project truly protect open space and create recreation space for the public? Is a solar farm preferred over limited residential (208 agricultural ranch 5-acre lots, 467 units) and commercial (15 acres) development on property that always included some level of rights for the property owner to develop? It’s time to decide. As for the City of Chino Hills, we will continue to ensure that Industry and the Oversight Board are following the law in the actions they take. We will continue to press Industry for specifics on their solar farm project. The City of Chino Hills would prefer to leave the land as open space. However, the only way for the land to remain as is, is for the landowner to agree to leave it as is. The only way the City of Chino Hills could prevent anything from happening on the land is to buy it for the apparent sale price of $41.65 million.